Point2 Homes gives you far more than a simple list of houses for sale. 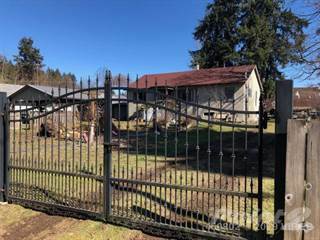 Get instant access to a lot of relevant information about Duncan, BC real estate, including property descriptions, virtual tours, maps and photos. The search results pages also have a wealth of information on Duncan, BC, if you scroll all the way down. 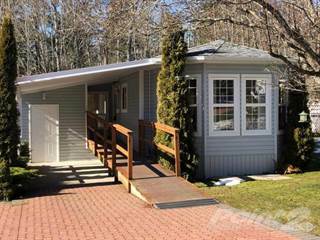 There are 123 houses for sale in Duncan, BC. 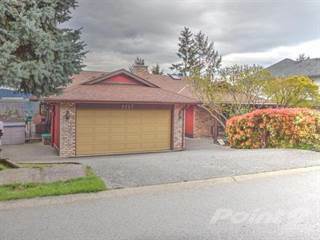 Searching homes for sale in Duncan, BC has never been more convenient. With Point2 Homes, you can easily browse through Duncan, BC single family homes for sale, townhomes, condos and commercial properties, and quickly get a general perspective of the real estate prices. Also, you’ll never miss a bargain if you filter listings based on house price drops in the past six months. Use the map view to find Duncan, BC homes and apartments for sale, based on amenities or city features that you may want close by. You can close in on a specific neighbourhood or area by simply drawing around them with the polygon or radius tools. Stay informed about the latest entries on the real estate market by saving your searches. This way, you get new listings in your inbox, daily or every week, based on your preferences. If you’d like to get in touch with a professional, agents are displayed next to their listings, and they’re easy to contact through the online forms. If you want more options, you can click the Tools tab and Find an Agent, and you’ll get a list of helpful and knowledgeable real estate agents in Duncan, BC. Visit the Point2 Homes blog and you can find up to date expert advice on many markets throughout Canada, regular market reports, neighbourhood scoops in cities throughout the provinces, real estate deals and useful recommendations. Duncan covers 2.07 square kilometres on the southern tip of Vancouver Island, making it the smallest city by area in Canada. The city has a population of over 4,000 people and is located near the communities of Crofton, Cowichan Bay, Sahtlam, and Koksilah. Highway 1 runs through the city, connecting it with nearby communities. The Strait of Georgia borders the city’s eastern edge and a number of small lakes and rivers can be found throughout the area. Duncan is known as the City of Totems, due to the 80 totem poles scattered within its boundaries. The western section of Duncan includes a motorsport circuit, vineyards, a golf course, parks, residential areas, a curling club, schools, churches, a hospital, and a commercial area with shops, restaurants, and service providers. In the central section of the city, you can find tourist attractions, a lake, a marsh conservation area, a university campus, residential areas, a library, an aquatic centre, a performing arts centre, a bowling alley, parks, a museum, and a number of commercial areas with plenty of restaurants, retailers, and service providers. Churches, schools, parks, a large lake, residential areas, walking trails, accommodations, and a few small businesses are located in the eastern section of the city. The BC Forest Discovery Centre is a 100-acre open-air museum that has forest and marshland areas. Walking trails provide opportunities for birdwatching and wildlife viewing. The centre allows visitors to explore the history of BC’s forestry industry through exhibits, heritage buildings, and logging artifacts. The museum also has an operational railway, with gas and steam trains that provide visitors with a unique way to see the centre. A concession area, picnic areas, and a gift shop are also part of the centre. Numerous events are held at the venue throughout the year, including seasonal celebrations. Art Mann Park is located on the shores of Quamichan Lake and is a popular spot for birdwatching, canoeing, and picnicking. The park has greenspace, a playground, a small sandy beach, picnic tables, lake views, treed areas, and restroom facilities. A small island in the middle of the lake is accessible by canoe. Various species of birds can be found here, including sandpipers, seagulls, and trumpeter swans. Key industries in Duncan include healthcare, retail, professional services (education, finance, business), construction, manufacturing, cultural tourism, and natural resource-related sectors such as fishing, farming, and forestry. The top employers in the region include School District No. 79, Vancouver Island Health Authority, Cowichan Tribes, Island Savings Credit Union, Cowichan Valley Regional District, Catalyst (manufacturing), and TimberWest Forest Products (harvesting). The Duncan Cowichan Chamber of Commerce provides local businesses and entrepreneurs with networking opportunities, resources and support, promotion, and professional development. Newer and older mid-priced, single-family homes can be found in the western section of Duncan. Many homes have large, rural-style lots in this section. Affordable condo options can also be found here, as can vacant land. Older, affordable single-family homes are available in the central section of the city, along with condo options. Plenty of commercial space (retail, restaurant, and industrial) is located here, especially in the downtown area of the city. Vacant land is also available, but can sometimes be pricey. In the eastern section of Duncan, a mix of older and newer affordable single-family homes can be found. Vacant land is common in this section, and comes at a variety of price points. Land and homes close to the waterfront can be expensive, especially when it comes to luxury-style homes with sprawling lots. Schools in Duncan include Alexander Elementary School, Duncan Christian School, Cowichan Secondary School, Queen of Angels School, Island Oak High School, Drinkwater Elementary, Alex Aitken Elementary School, Queen Margaret’s School, Ecole Mount Prevost, Maple Bay Elementary, Khowhemun Elementary, and Quamichan Middle School. Other schooling options can be found in nearby communities and include Sunrise Waldorf School, Bench Elementary, Ecole Cobble Hill, George Bonner Elementary School, and Shawnigan Lake School. Duncan’s only post-secondary option is Vancouver Island University, which offers programs in business, education, health, human services, trades and applied technology, university preparation, and professional development. Other options can be found in larger nearby communities, such as Victoria and Nanaimo.